With the fog outside denser than some of the celebrities in the jungle [apt choice of words given the Newcastle date! - Ed], it seems apt to tell you about Coldplay's secret concerts coming up in December. You may remember their Big Noise Session in Exeter last year (for Mencap) and now the generous rock band have selected the Crisis charity for two fund-raising gigs. 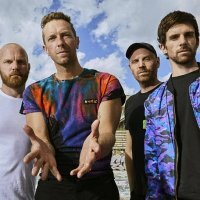 On 19th December, Chris Martin and co (plus the supporting The Choir with no Name) will play at a secret location in Liverpool, while on the 20th, Coldplay will do the same in Newcastle, but with Ant and Dec from the Jungle hosting the night. So what's with all the secrecy? In order to raise as much money as possible, the tickets are being auctioned rather than sold at a market price. Unlike standard tickets, you must make a bid, which is either accepted or rejected - minimum bid is £100 for basic tickets (there are just 200 in total) or £250 for VIP tickets (only 30 available). If you bid enough for a ticket and you are successful, the tickets are yours, subject to booking fees on top. Whilst the idea might sound a bit exclusive, it's a clever way to shut out touts and aim for the fans, pumping money into a great cause, of course. Click on the 'Coldplay Auction' button below for further details and full conditions. The auction ends this Friday (19th November) at 2pm. Meanwhile, in true time-honoured tradition with Coldplay, it's nearly 3 years since their last release in 2008 - keep your peepers peeled for further album-like announcements!